Apples and fall just kinda go hand in hand. I have really enjoyed posting all the different apple dishes this week. I have to admit though, my families favorite was the crock pot Cinnamon Apples. The general concensus﻿ is that it REALLY is like eating a bite sized candy apple. It must be a crock pot recipe. 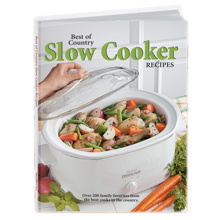 Any recipes submitted that are not crock pot recipes will be deleted…. 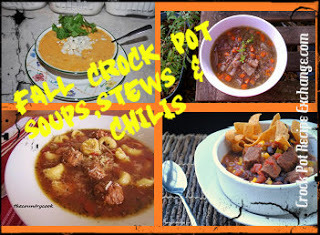 after all, it is a crock pot recipe exchange blog, and I just want to stick to crock pot recipes to keep it true to form. Please stick with this weeks theme. I know you are excited that you did other desserts in the crock pot for your family, but save those for another weeks exchange. This week we want to see what crock pot apple desserts you have to offer. Make sure check out all of the recipes that interest you. Also make sure that you leave a comment so the person that submitted the recipe will know you visited their great creation. Link directly to your recipe post (it doesn’t matter how old or new it is) NOT to your homepage. Have fun….. This is a way for us all to meet other crock potters. Next weeks theme will be crock pot one pot wonders. If you have a favorite casserole, roast or soup that you make in the crock pot that feeds your family without having to cook anything else…. we wanna hear about it.